A Chinese Muslim‘s call for e-commerce giant Alibaba to rename one of its services because it uses the word “pig” has sparked a backlash in China. It all began when Alibaba changed the name of its popular travel booking app from Alitrip to one that means “Flying Pig” in Chinese. Its English name is Fliggy. Over the weekend, Uighur businessman Adil Memettur criticised this decision on popular microblogging network Sina Weibo, where he has hundreds of thousands of followers. He noted that the app is popular among minorities because it lets people whose names have unusual spellings make bookings. “But now that Alitrip has changed its name to Flying Pig, I can only uninstall it, and maybe all my Muslim friends too, because the word “pig” is taboo to Muslims all over the world. Alibaba is an international corporation, could it take Muslim taboos into consideration?” he said. 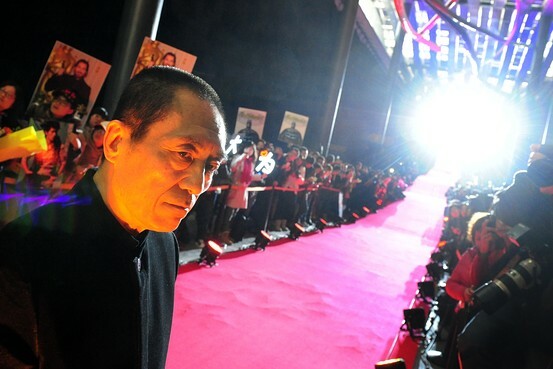 His post quickly sparked condemnation and ridicule from other Chinese online, with some asking if this meant China had to expunge all references to pigs in popular culture and literature. “We each have our own way of life; we do not force you to live according to our rules, but you cannot force us to change the law,” said Weibo user Fireflyinred. Mr Memettur quickly took down the post and on Sunday night he posted an apology. Alibaba told the BBC that they decided to rebrand the app to appeal to a younger demographic. “We embrace diversity and respect all creeds and religions. The name change is meant to reflect the demographic’s aspirations to pursue dreams, sit back and enjoy life,” said the spokesman. The visceral pushback stems from the fact that the pig occupies an important place in Chinese culture. Pork is not only a staple of Chinese cuisine – the government keeps a national reserve of pork in case of market shortages – but the pig is also celebrated in folklore and the Chinese zodiac. Online, the reaction to Mr Memettur has been intense, often descending into derogatory comments and insulting jokes about Muslims and Uighur culture. It has also highlighted how gaps in understanding between Muslim minorities and the Han Chinese majority can arise. Because of their relatively small numbers, concentrated mostly in the West, Muslims still do not figure largely in Chinese public discourse. China’s 21 million Muslims, comprising minority ethnic groups such as the Huis and Uighurs, make up only 1.6% of the population, with the rest from the Han ethnic majority and they have mostly co-existed peacefully. The western province of Xinjiang, home to many Chinese Uighurs, has seen unrest with residents saying they have been economically and culturally displaced by a growing influx of Han migrants. Violence there has been attributed by the authorities to Islamist militants and separatists – rights groups point to increasingly tight control by Beijing. In this instance some online, like blogger Han Dongyan, have called for respect and calm.”Don’t extend this to all Muslims… (Mr Memettur) has made a mistake and he can be criticised, but don’t respond to an extreme with another extreme and tar them all with the same brush, this is wrong too!” he wrote in one popular post. China’s government is seeking public input as it drafts a long overdue law to protect victims of domestic violence. In addition to shielding spouses from abusers, the law will address physical aggression against children and elders—all issues that are at once taboo and disturbingly common in modern China. 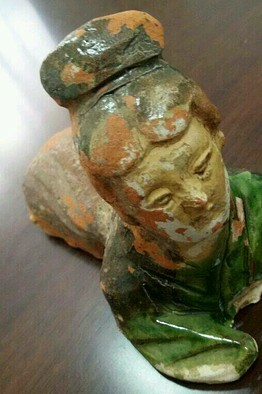 According to a 2011 study by the All China Women’s Federation, a quarter of women in China have been victims of some form of domestic violence. Yet for many years, spousal abuse was considered a private or family matter, making it difficult for victims to seek police intervention or professional counseling. The problem of widespread domestic abuse first gained traction in Chinese news headlines in 2011 after Kim Lee, the American wife of a high-profile Chinese entrepreneur, posted photos of her badly bruised face on Weibo. She explained on the microblog that her husband, Li Yang, founder of the Crazy English language school, regularly hit her. In 2013 the couple divorced, and Lee was awarded custody of their three children and 12 million yuan (nearly $2 million) in damages and compensation. Her decision to discuss the matter publicly helped ignite a national conversation. According to Xinhua, the new “family abuse” law will require police to respond immediately to reports of domestic violence. It will also create mechanisms for victims to seek restraining orders against abusers. If a domestic violence case is heard in court, the draft law offers some guidance in sentencing, suggesting jail terms of up to seven years for serious offenders. via China Drafts a Law on Domestic Abuse – Businessweek. The ancient Shaolin Temple, perched on a leafy mountaintop in eastern China, is widely recognized as the birthplace of kung fu. For at least 1,500 years, its resident monks have preserved the physical and psychological training regimen of the legendary martial work. Now they’re trying to master commercial arts, too. The temple is hiring a media director and social media editor, according to state-run Chinese newswire Xinhua. “The need arises from an internationalizing Shaolin,” a monk who works for the temple’s “Intangible Assets Management Center” told the newswire. The ideal candidate would be versed in China’s fast-growing social media platforms, especially Twitter (TWTR)-like Sina Weibo (SINA), as well as fluent in both Mandarin and English. Once its social media marketing team is in place, Shaolin hopes to expand outreach to overseas business leaders who seek to cultivate kung fu mindfulness. 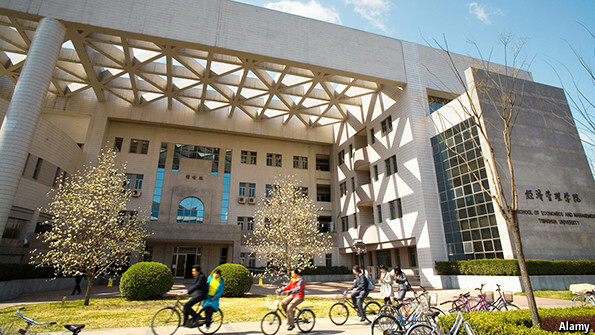 Its courses are a relative bargain compared to executive MBA programs, ranging from $800 to $10,000. via China’s ‘Birthplace of Kung Fu’ Hopes to Train CEOs to Meditate – Businessweek. They don’t build ‘em like they used to, and when it comes to housing in China, that’s probably a good thing. According to the official Xinhua news agency, the price behind the breakneck pace of China’s construction boom since the reform and opening is becoming clear, with buildings collapses frequently involving those constructed in the 1980s and ‘90s. 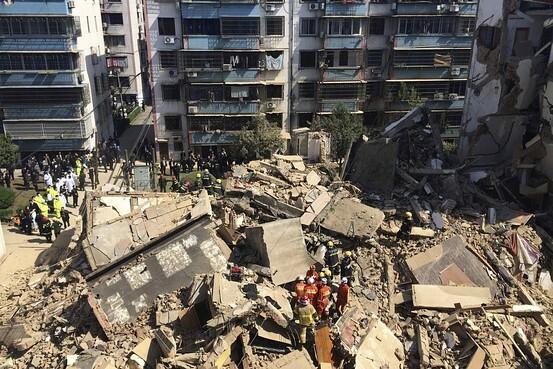 That was evident last week, when a five-story residential building constructed in 1994 collapsed in Fenghua in coastal Zhejiang province, killing one person and burying several others in the rubble. Only an eyebrow-raising 22% of China’s housing stock was built before 2000. But its recent vintage doesn’t necessarily mean it’ll last very long: According to an unnamed government official Xinhua cited this week, China’s buildings are generally expected to last for just 25 to 30 years. The reason is poor quality of construction and design, Xinhua said, adding that many seismically unsafe buildings from the ‘80s and ‘90s in the country still exist. As of Tuesday afternoon, some 1.6 million comments were posted on Weibo about the Zhejiang collapse, with most microbloggers expressing astonishment and fear while blaming local authorities and developers. At least six multiple-story buildings have collapsed in China since 2009—including one in Shanghai under construction that bizarrely toppled over virtually intact—though not all have caused casualties. In one particularly deadly 2009 incident, 17 people were killed after a two-story building constructed in the 1980s collapsed in Hebei after a heavy rain, Xinhua reported (in Chinese). via The Real China Housing Collapse: ‘Vintage’ Buildings – China Real Time Report – WSJ. WHEN Luo Changping, an investigative journalist, tried on November 22nd to post the latest chapter of his big scoop on WeChat, a popular Chinese mobile messaging service, censors blocked it. But he was able to work round them. In a follow-up message he told his subscribers they could send him the words “Chapter Seventeen”; users who did so automatically received the post on their mobile phones, uncensored. WeChat, or Weixin in Chinese, is known mostly for private chatting and innocuous photo-sharing among small circles of friends. With more than 270m active users, it has become the star product from Tencent, an internet conglomerate. Some have compared it to WhatsApp, an American messaging service. More quietly, it has become the preferred medium for provocative online discussion—the latest move in China’s cat-and-mouse game of internet expression and censorship. Mr Luo began posting his serialised stories on WeChat in May. They related how he had exposed the alleged corruption of Liu Tienan, a senior economic official. He had tried tweeting them on Sina Weibo, a Twitter-like microblog on which he had accused Mr Liu of corruption months earlier, but internet censors blocked him from doing so: hence his switch to WeChat. Though his initial attempts there were also blocked, the loophole that enabled him to send out the file is typical of WeChat’s more relaxed approach to censorship. A WeChat account works much less publicly than accounts on microblogs (of which Sina Weibo is the most prominent). Anyone using Sina Weibo can see almost anyone else’s tweets and forward them on, meaning a single tweet can spread very quickly. On WeChat, it is usually only subscribers to a public account who will see a post (though such posts may also be viewed on a separate web page), and if a subscriber forwards a post, only that subscriber’s circle of friends see it. Its non-public accounts are even less open. Information on WeChat spreads at such a slow burn that authorities feel they have more control over it. Also in contrast to microblogs, many types of public account (like Mr Luo’s) can send out only one post to subscribers a day, making them much easier for authorities to monitor. Mr Luo does not always have problems sending out his stories on WeChat and, since switching to the service, he has posted the equivalent of a blog post every week or two, and built a following of more than 60,000—“higher than the actual subscription figure of many Chinese magazines”, he says. WeChat is now his prime delivery platform for newsy titbits, including sensitive information that would be censored more rigorously on microblogs. (He has not published for Caijing magazine, his former employer, since being transferred in November to a non-reporting position at an affiliated research institute.) Meanwhile, he makes much less use of his Sina Weibo account, even though it has more than four times as many followers: “The ground for public opinion has begun to shift toward WeChat,” he says. The rise of WeChat is a business phenomenon in its own right (see article). But it is also a measure of how adaptive and resilient China’s political and social discourse has become—almost as adaptive as the censorship regime that seeks to contain it. Recently a number of public intellectuals have lamented the decline of meaningful discussion on weibo. The microblogs were full of user-led activism in 2012 but, starting in 2013, officials have dramatically escalated their efforts to control them. Propaganda outlets have intensified attacks on the spread of rumours online, authorities browbeat online celebrities to be “more responsible” (at least two have been arrested on unrelated charges), and microbloggers can now be jailed for up to three years for tweeting false information that is forwarded 500 times or viewed 5,000 times. President Xi Jinping, in a speech to party leaders in August, said that the internet was the prime battleground in the fight over public opinion, and that officials must seize control of it. 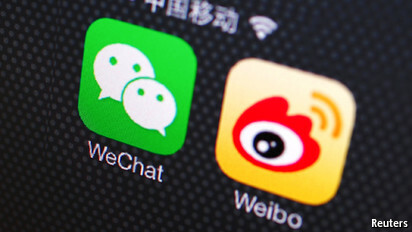 via The internet: From Weibo to WeChat | The Economist.